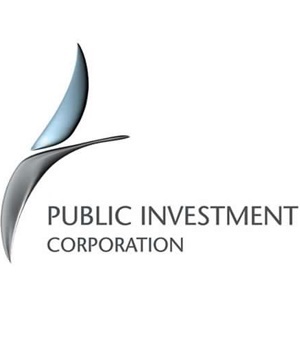 Public Investment Corporation (PIC) executives Paul Magula and Ernest Nesane both allegedly received monthly payments from Vele Investments for more than a year, totalling around R5 million each. This was while they were the PIC’s non-executive representatives on the board of VBS Mutual Bank, which Vele was allegedly busy looting into the ground at the time, according to an affidavit from the bank’s curator Anoosh Rooplal. A City Press investigation can reveal the structures through which both of the two now former PIC men appear to have been paid. An analysis of the bank statements of Vele Investments by City Press shows the company made identical monthly payments to two companies called Hekima Capital and Parallel Capital. City Press reported last week how Magula’s payments seemed to go through Hekima Capital, which is registered at Magula’s residential address. Initially in late 2016 and early last year, Vele bank statements show large sums paid to “Magula-P”, but these sums then start going to Hekima. Magula had initially been a director of Hekima, but resigned in 2016 just as the payments started. He declined to comment, citing ongoing investigations. Clearly identifiable payments to Magula and Hekima totalled R5.05 million. The other shelf company getting regular Vele payments, Parallel Capital, has a similar link to Nesane. Parallel was initially registered at one of two residential addresses used by Nesane in Lotus Gardens, a suburb west of Pretoria. It then changed its registered address to 26 Morara Street, Atteridgeville, an address previously used by two companies Nesane had been a director of: Dzata Group, and Lentswe La Sechaba Trading and Projects. Nesane this week told City Press that he “can’t talk about it” and also declined to hear City Press’ questions. The only director listed in company records for Parallel is Lufuno Godfrey Mudau, a Pretoria businessperson. When first contacted by City Press, Mudau said he couldn’t talk because he was driving. He provided an email address for questions to be sent to, but did not respond and has also not answered subsequent phone calls and messages. Hekima Capital similarly has a director other than Magula, Lot Magosha. Magosha told City Press he had bought Hekima from Magula as an “empty” shelf company and that the payments it received were all loans. Despite this, Vele sometimes called these payments “salaries”. Magula was fired from the PIC for unrelated alleged incompetence earlier this year and Nesane resigned from the PIC last week. Both men occupied senior positions of trust at the PIC – Magula was head of risk and Nesane was head of legal and compliance at the PIC.